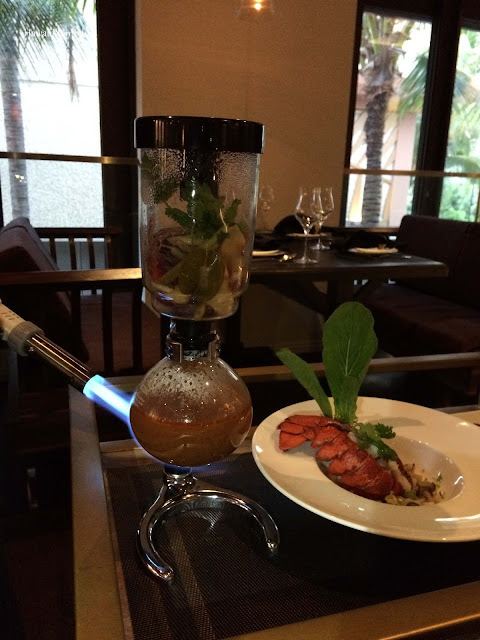 I was really bummed when I missed the Noi Thai Cuisine media event late last year, so when Nadia asked if I wanted to go there for dinner, I couldn't wait to give the restaurant a try! 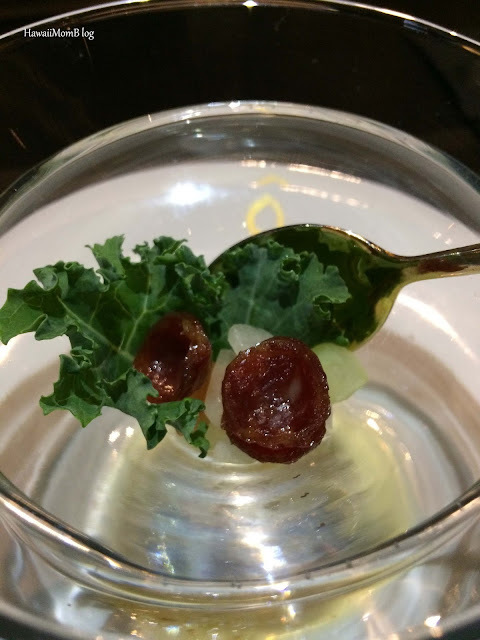 The complimentary Housemade Sausage was a pleasant way to start off the meal. 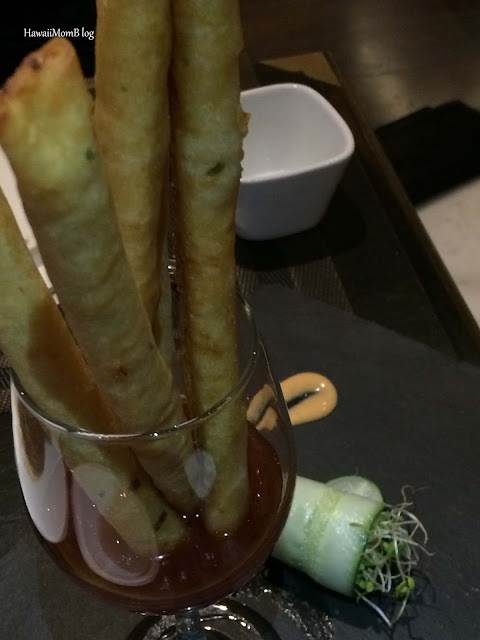 The Taro Rolls - fried spring rolls stuffed with prawns and taro, were presented in a glass filled with plum sauce. They were absolutely delicious, and surprisingly light. They were my favorite dish of the evening (I ate 3 of the 5 rolls!). 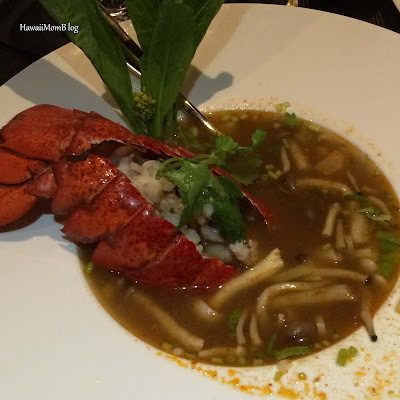 The Tom Yum Lobster, which is heated tableside in order to draw out the flavors of all of the ingredients, was full of lobster, straw mushroom caps, lemongrass, galangal root, green onion and cilantro. The combination of flavors in this soup was delightful. 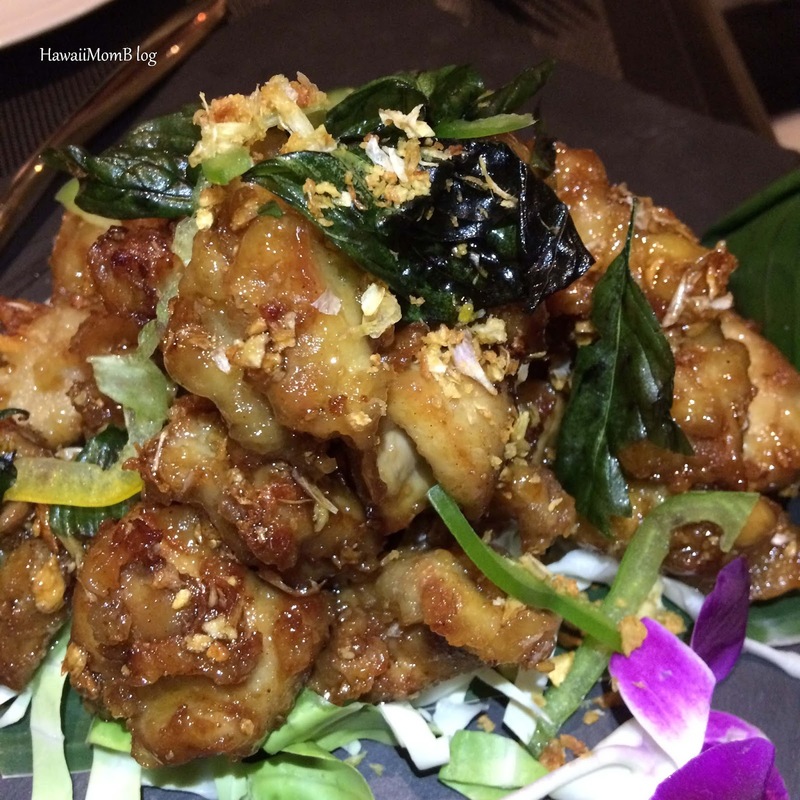 I love chicken, so I was very eager to try the Crispy Garlic Chicken. It did not disappoint! Each piece of chicken was covered in a tasty garlic sauce, and I loved the crispy fried basil leaves that topped off the dish. 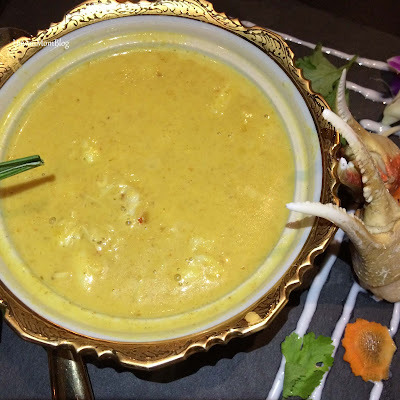 I don't eat lot of Thai curry dishes, but I thought the Yellow Curry Crab was very delicious. Each bite of curry was full of crab meat, and I liked that the coconut milk was not too overpowering. 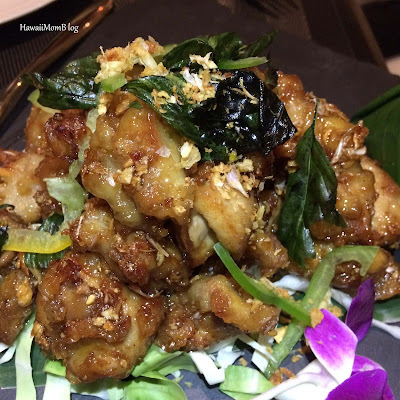 Prices are a lot higher than most other Thai restaurants I've been to, but dining at Noi Thai Cuisine was everything Nadia said it would be in her write-up - an experience which included amazing food beautifully presented in an elegant ambiance. Thank you, Nadia, for a great Thai meal!